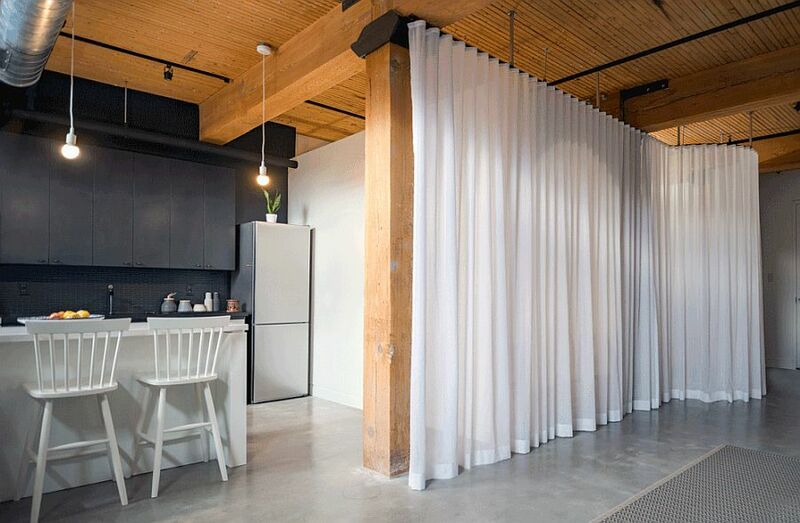 A design that saves space while enhancing the aesthetic appeal of an interior grabs your attention almost instantly. 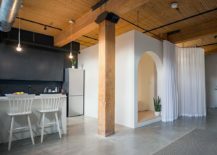 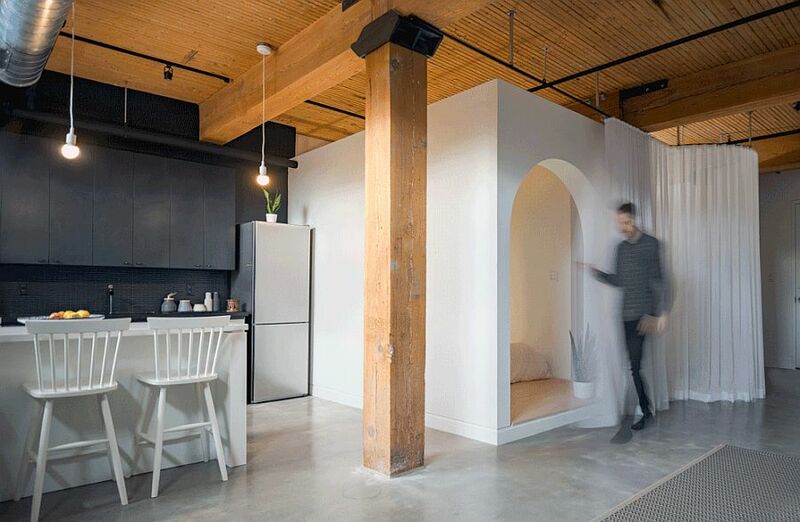 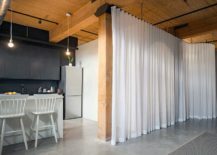 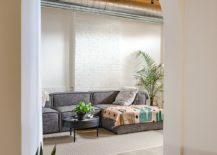 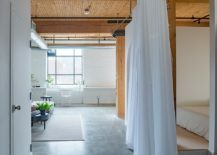 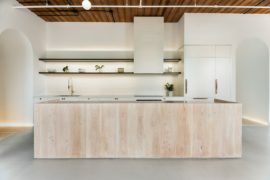 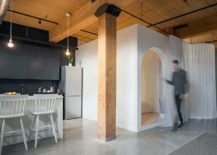 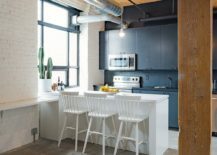 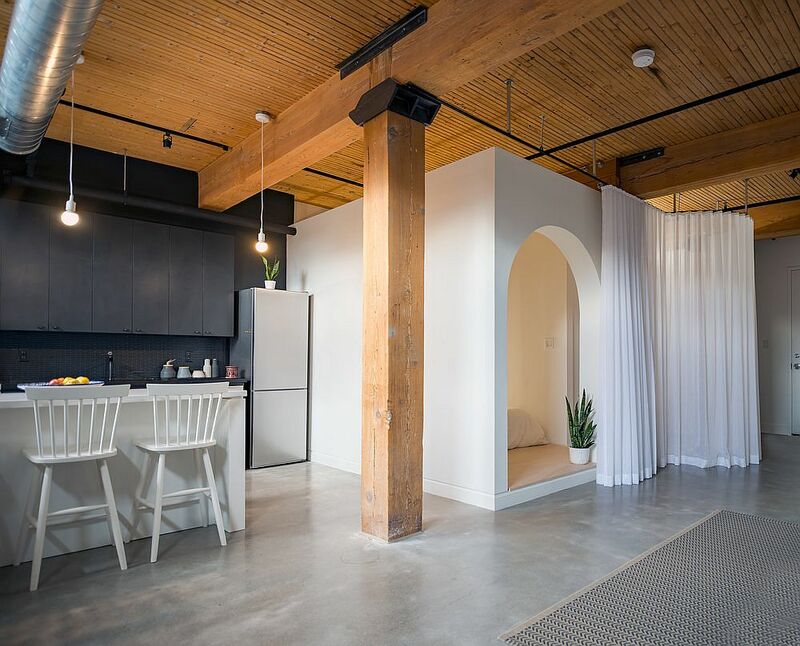 Part of a small, 550-sqaure-foot, downtown loft in Toronto, Canada, the unique and stylish ‘bed box’ is the central feature around which this entire apartment is built. 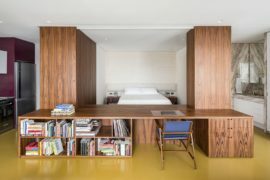 The wooden box gives this apartment an identity of its own even while creating and open, inviting living space in the process. 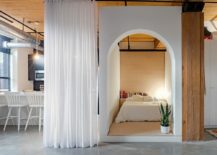 Maximizing space while cutting back on visual fragmentation of space, the marvelous little box in plywood and white holds the single bedroom of the apartment that is hidden from the living room using large white sheers. 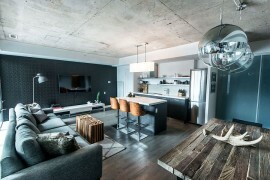 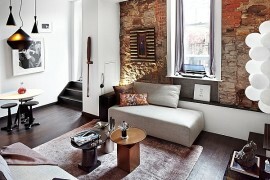 Designed by Studio AC, the apartment feels refreshing, smart and innovative! 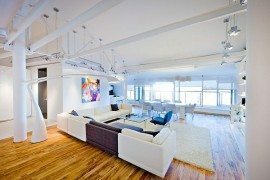 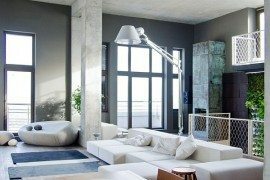 White is the color of choice inside the apartment with wooden ceiling above adding warmth to the setting. 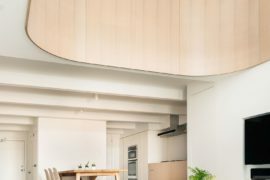 Brick walls in the kitchen and around the bedroom have also been painted white to create visual continuity while the wonderful plywood surfaces in the bedroom give the interior a cozier, more inviting appeal. 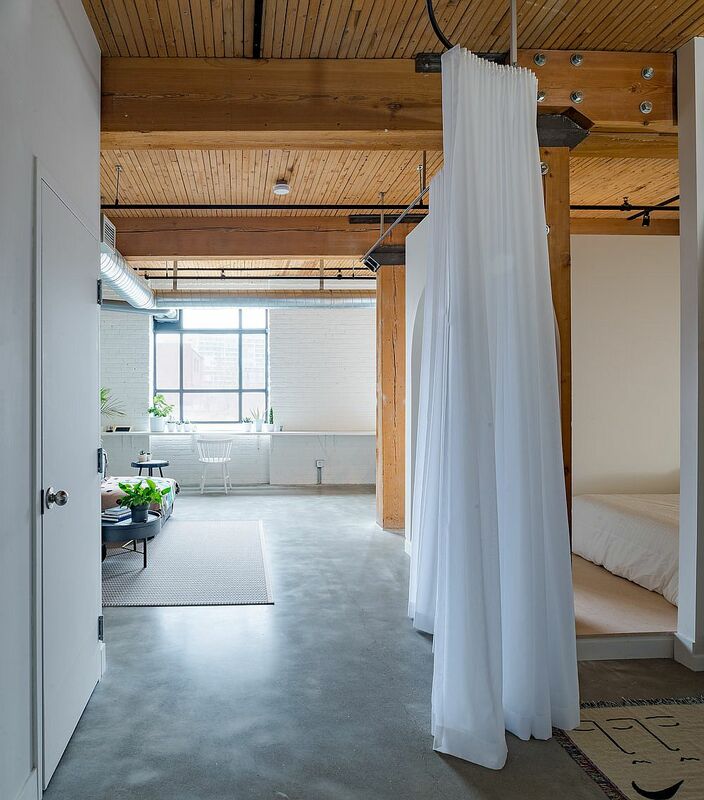 A flood of natural light illuminate every corner of the apartment while the presence of large, white sheers gives the entire living area a holiday-inspired look. 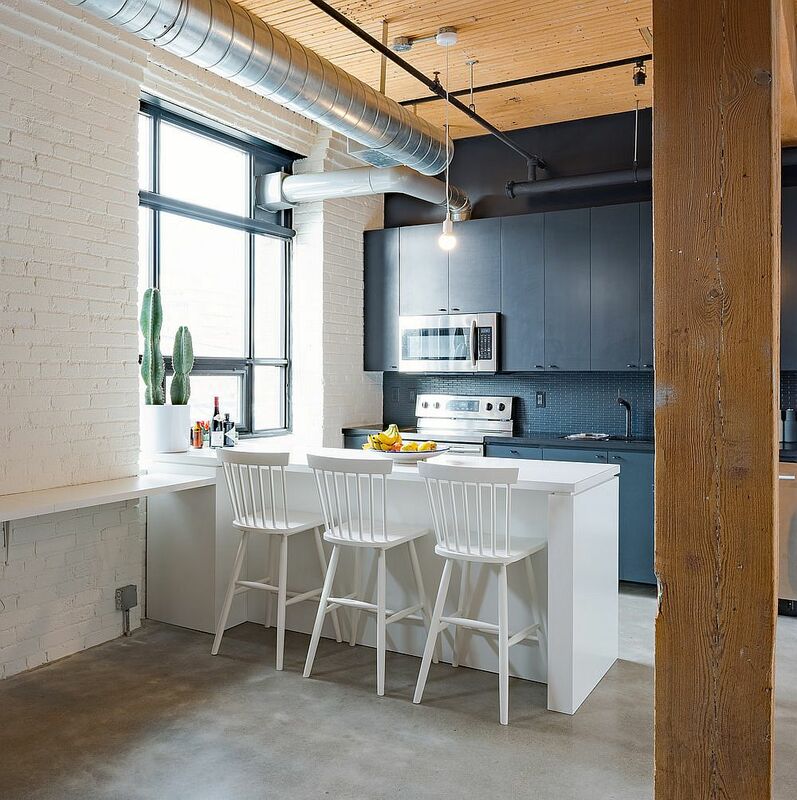 The dark bluish-gray accent wall in the kitchen with shelving and backsplash makes an even greater visual impact thanks to the neutral backdrop and the industrial style slim lighting holds its own. 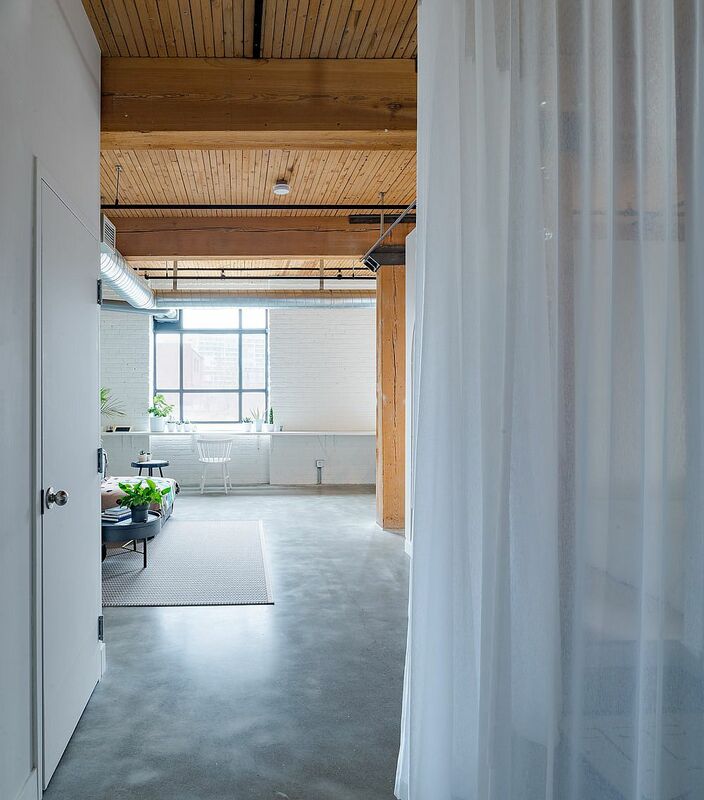 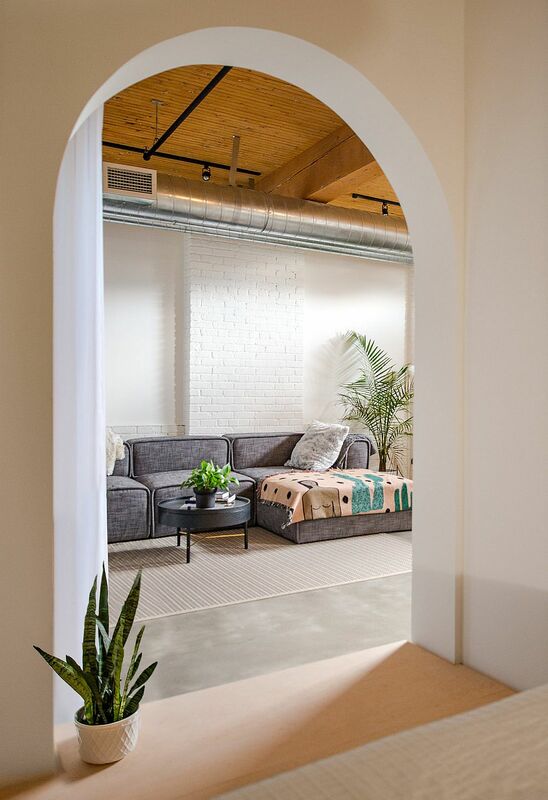 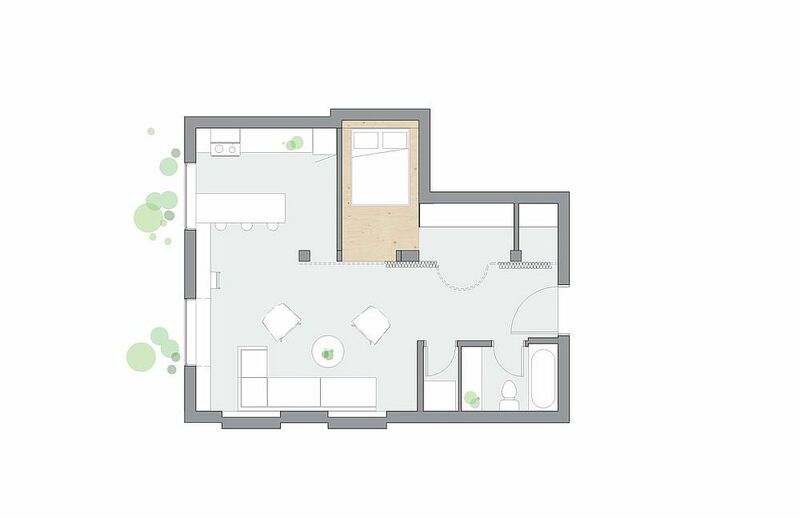 RELATED: This Minimal Loft Inside a Converted Toronto Charm Has a Special Curved Surprise! 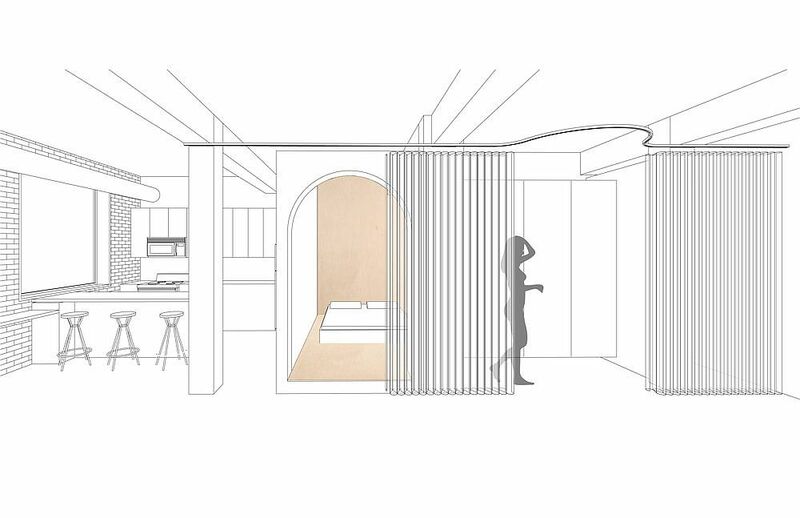 In closing the project was a pleasure to design because of an excited, open and interesting client. 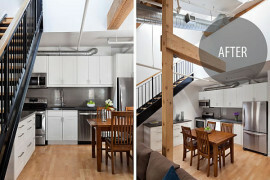 While the budget was quite modest we pushed ourselves to produce something with identity, character and flexibility.